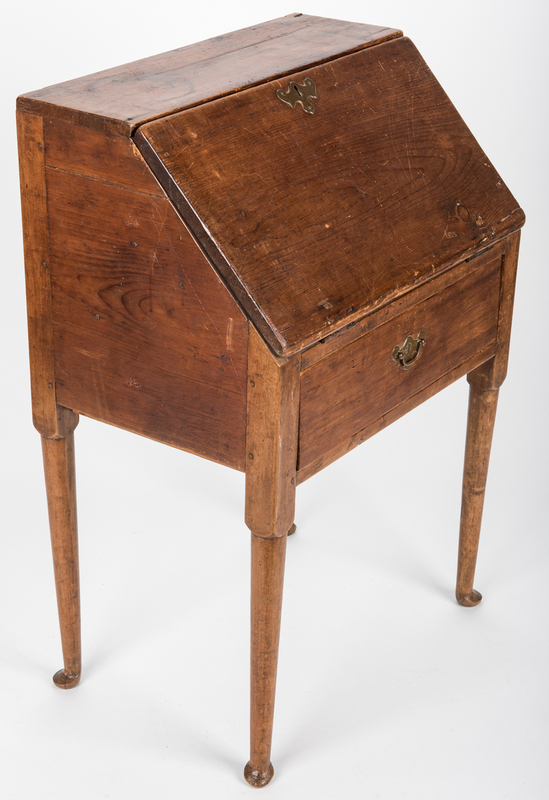 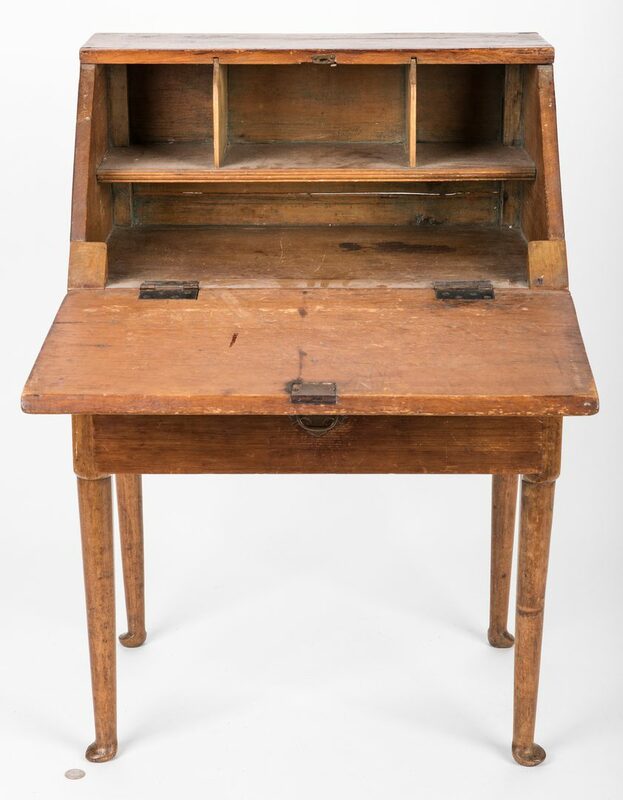 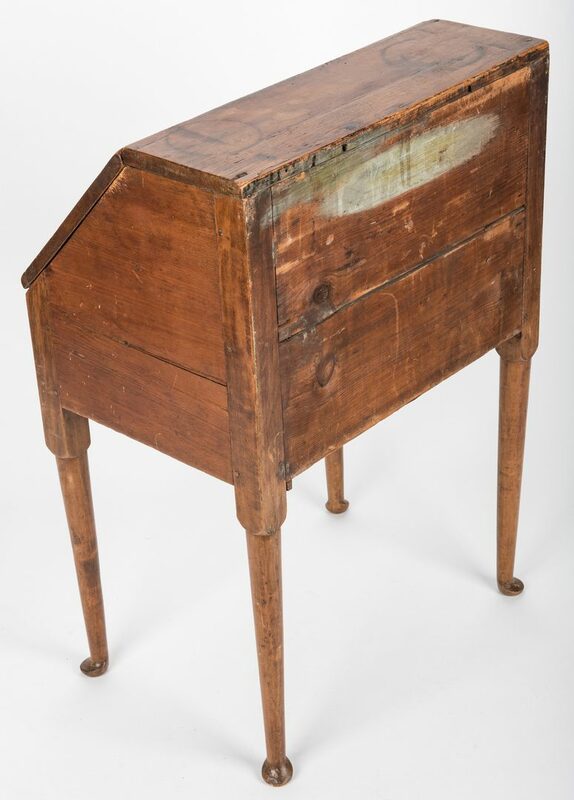 Queen Anne child's desk, probably birch primary with maple legs, chestnut and white pine secondary. 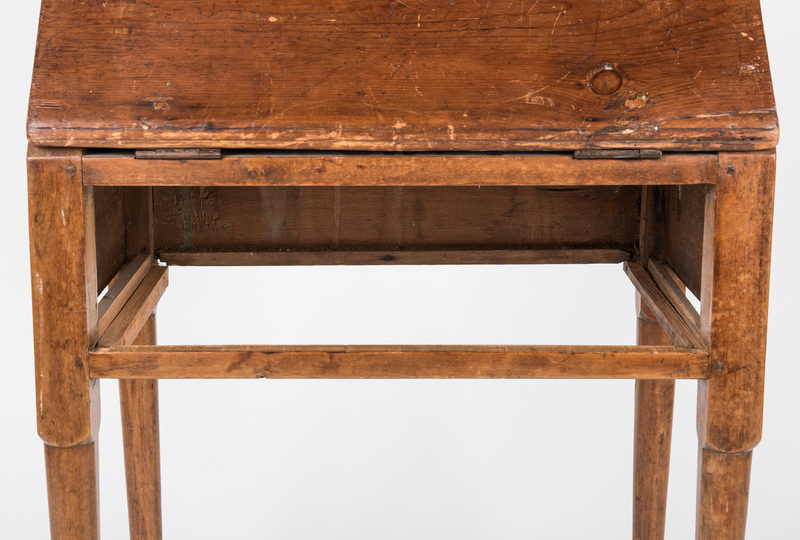 Comprised of a slant front top enclosing three pigeonholes with molded lower edge, above a flat writing surface. 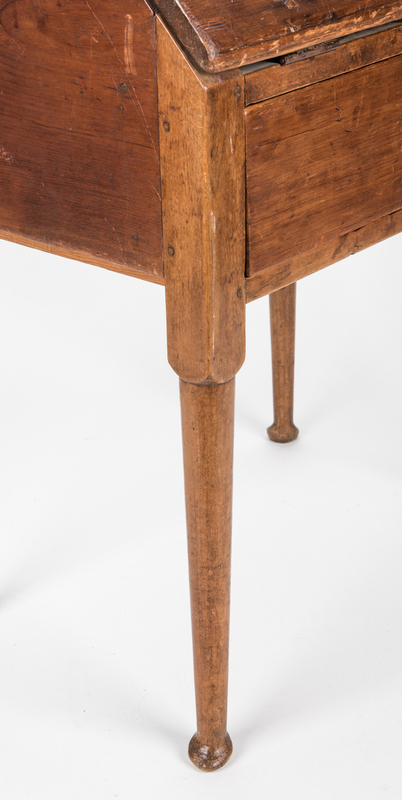 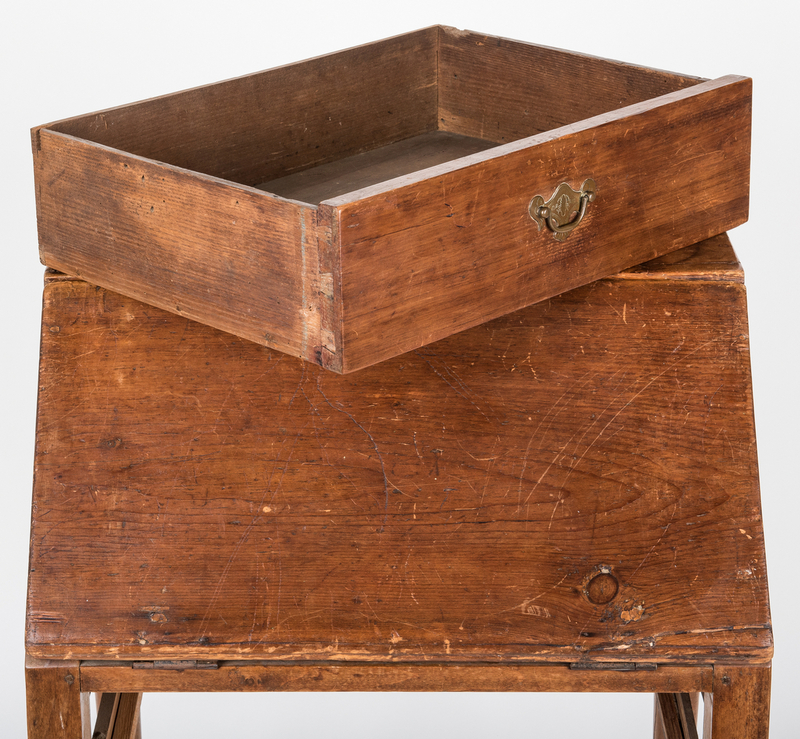 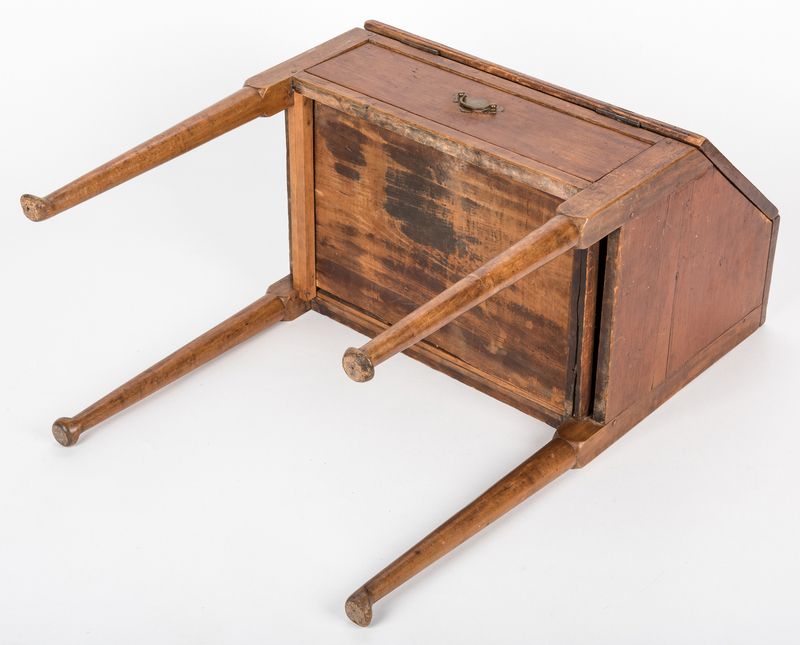 Single dovetailed drawer; tapering cylindrical legs terminating in pad feet. 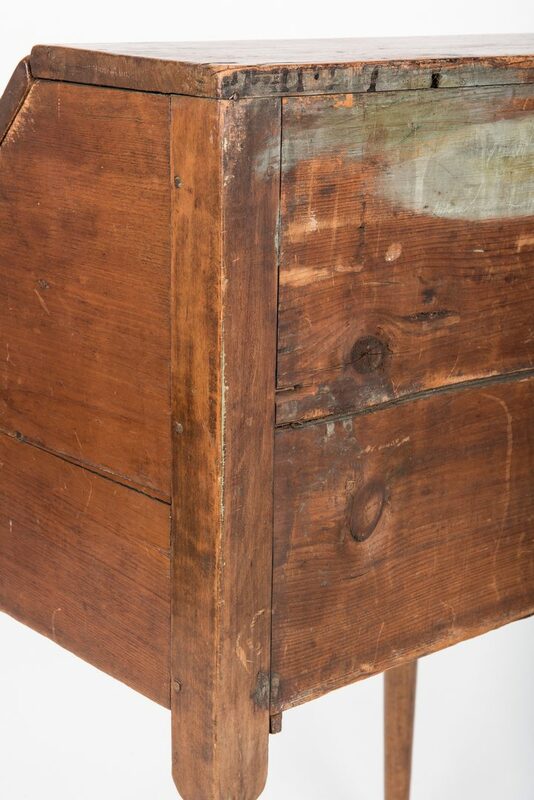 Slant front and drawer fitted with engraved batwing hardware. 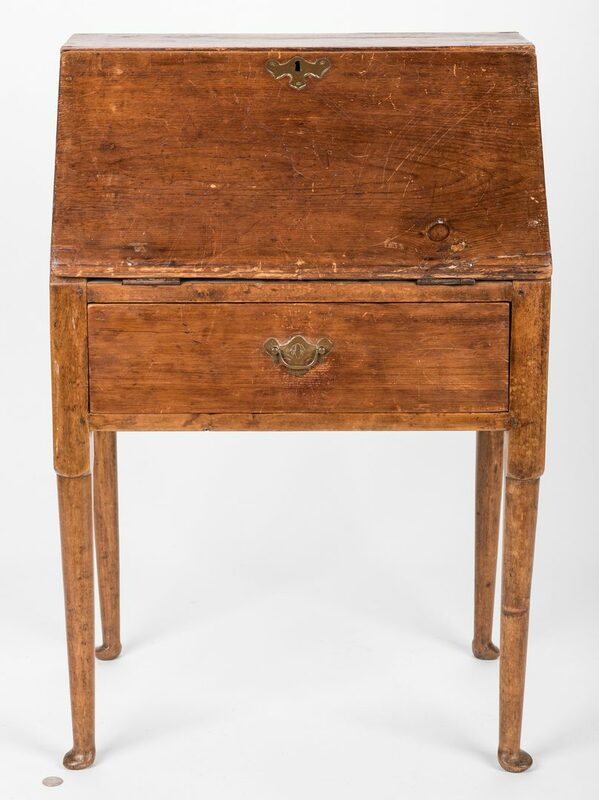 33 1/2" H x 22 1/2" W x 15 1/4" D. Circa 1770. 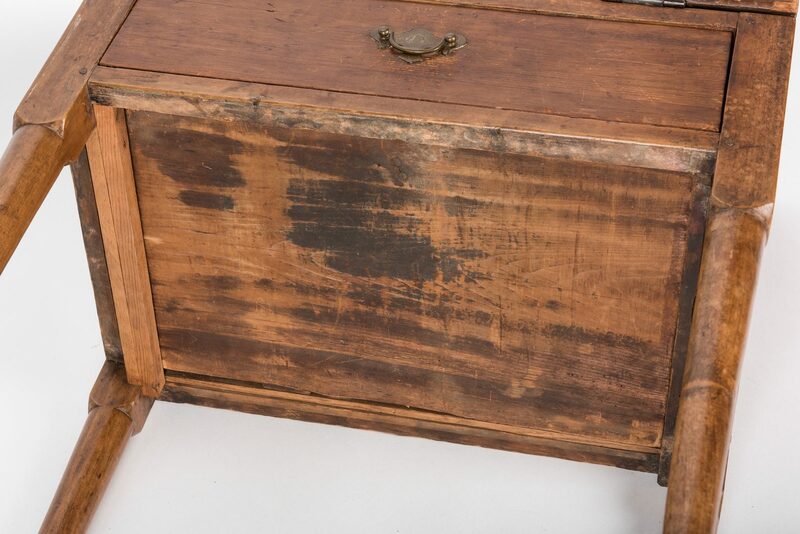 Provenance: Private Southern collection, purchased from A. Fairfax Antiques, Charleston, South Carolina, found in Northeastern (Edenton), North Carolina. 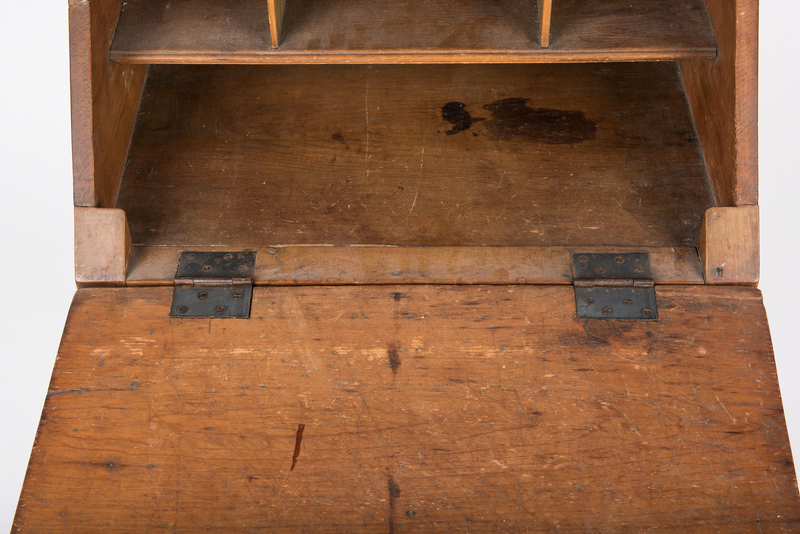 CONDITION: Drawer bottom secured with later nails. 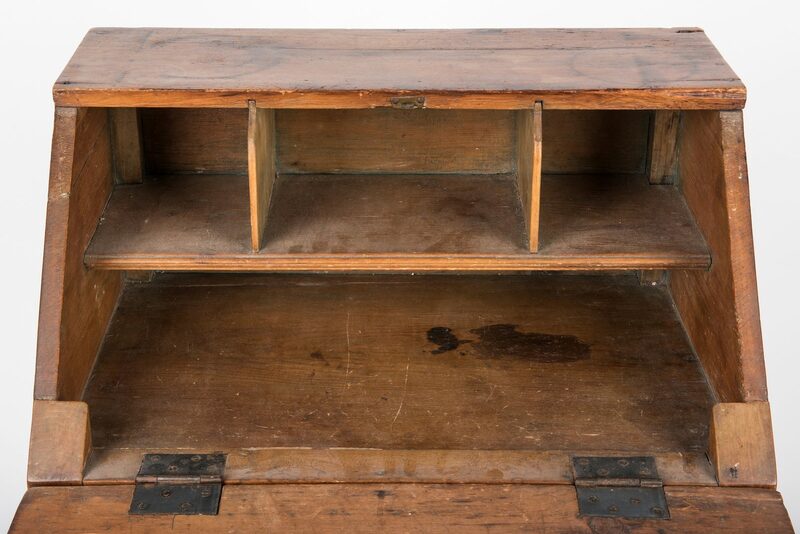 Stains to top. Overall general wear, some heavy scratching and abrasions.